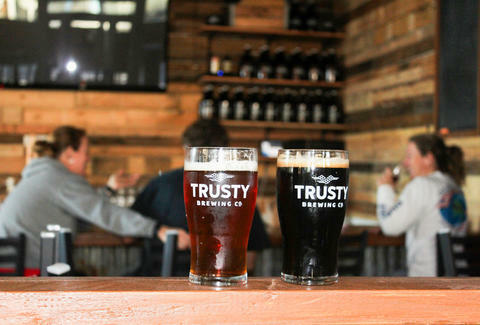 Courtesy of Trusty Brewing Co.
Make room, Portland: you’re not the only city on the Columbia that’s fostering a beer scene with the big, bold, citrusy, piney IPAs that have come to exemplify the craft beer of the PNW. Our neighbors across the river in Vancouver, WA, have been silently building their own brewing culture for the past few years, and now it’s time they’re recognized as a welcome peer in all things malty, hoppy, and yeasty. A mere five years ago, beer enthusiasts of the ‘Couve had only two or three local breweries to visit, which may or may not have included a friend’s basement, where they were asked to taste a lager that may or may not have been contaminated. Now, by some estimates, Clark County will have 19 breweries by the end of the year, and just hosted its fifth brewfest to show them all off. Vancouver's scene is at an exciting point in its growth: big enough to be taken seriously, but small enough to remain loyal to the locals, and for brewers to promote each other’s brands with pride. You don’t have to look much further than the Brewcouver passport, which charts nine breweries within a two mile radius, to sense the camaraderie behind the taps. Trusty is yet another newcomer, offering well-crafted brews and a simple yet tasty food menu in a sleek Downtown location. In its open kitchen, it’s likely the chef and brewer will gladly talk about their visions for whatever it is you’re currently enjoying. If the bitter hop bombs we call IPAs have you weary, go for Trusty’s English Ale; it pairs well with the pulled pork nachos. But then again, what beer wouldn’t? 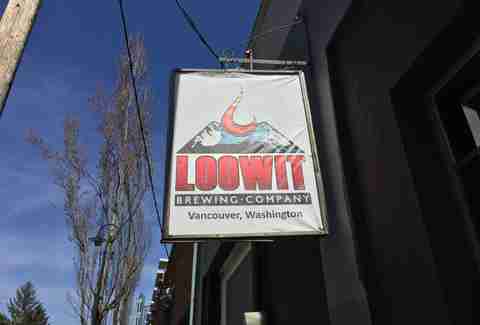 Loowit, which is also the Native American moniker for Mount St. Helens, is a forerunner of the Vancouver scene and one of the few to have begun bottling. 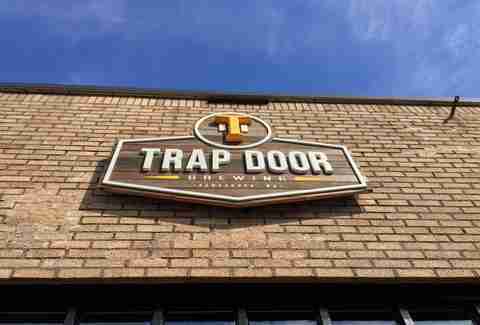 It opened its doors in 2012 with solid early offerings like the Shadow Ninja IPA and the Extrabeerestrial ESB. The repeat customer is rewarded here, as there’s often a small-batch experimental beer on tap that doesn’t last long. Pair that with live music and a shrine to the Timbers, and you’ve found a place where you'll stick around on your barstool much longer than planned. Only five months old, Trap Door is run by a father-son duo committed to making Vancouver a fresh destination for one of the great combos of the 21st century: craft beer and food trucks. Try out the Tiger Trap Coffee Stout, a collaboration with local roasting company Paper Tiger Coffee. Light, yet funky and creamy, it’s a flavorful stout designed to convert skeptics to the dark side of beer. The Feral Public House, in contrast to its name, is a welcoming bar and restaurant featuring Heathen’s brews alongside a list of guest taps. While Heathen’s flagship ale, Transcend IPA, is a great place to start, you must venture down the list for a flight of the sours. Prepare for surprising and spunky flavors like those in the Mojito Sour Ale. Refreshing, minty, and tart, it drinks like a blended cocktail you might savor on a white sand beach. Not your typical beer, but even purists can applaud its audacity. Are you a beer-drinking runner? Deathly parched after a race? Say no to water, and yes to beer. 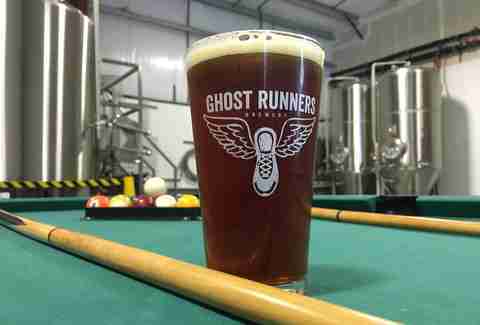 Ghost Runners was born out of a love for these two age-old activities known for causing elation. Race medals and bibs line the bar top and walls, and the beers are named for famed athletic contests around the world. Here, the novice starts with the 5k IPA. Remember to stretch, lest you risk pulling a hammy. 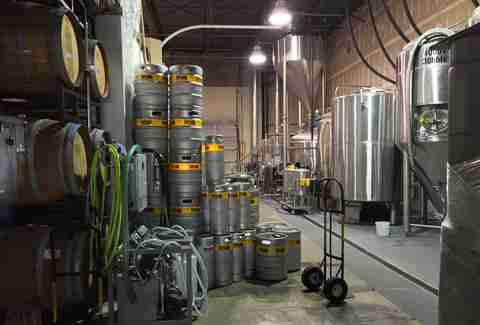 Old Ivy is the reincarnation of Salmon Creek Brewery, which for 21 years was one of the only microbreweries in the area. The tap house is a laid-back, unassuming bar & patio that prides itself on reliable and friendly service. If you have a hankering for bold flavor and a quick buzz, try out the Big Newton, a nutty imperial brown ale that finishes like a coffee porter. Located inside a warehouse, Fortside’s tasting room is a wide-open space in view of the steel vats where the fermenting is done. These brewers do a fine job with the wrecking ball that is the Big Beast, a triple IPA, but what makes Fortside stand out from its peers are the various barrel-aged ales and the Kanaka Saison, a mildly sour sipper with characteristic banana notes. Dan Schlegel is a Portland State grad who would never drink all of the above beers in one day. Follow him to the perilous adventures of day-drinking @ddschleg.